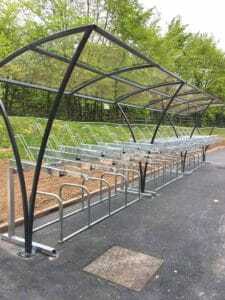 Working on Vernier Construction’s latest commercial development, The Bike Storage Company were contracted to supply a 60 Space Two Tier Chelsea Shelter. 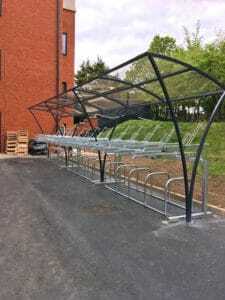 The shelter hot dipped galvanised & polyester powder-coated was provided with our industry leading 15-year no-rust guarantee. Not only was the shelter manufactured with 3 weeks to fulfill Vernier’s tight completion schedule, our expert in house installation team completed within one single day! We look forward to working with Vernier on their next project.